Riess LeMieux – A full-service firm that provides the personal attention each client deserves. Riess LeMieux delivers legal services with the personal touch of a boutique law firm, while always staying mindful of the cost-effective representation desired in today’s climate. While our construction law team brings decades of experience in providing solutions for construction problems at every stage of a project, the lawyers at Riess LeMieux are also experienced in a full range of legal areas. Our team of proven and talented attorneys is focused on providing a full suite of legal services typically available only from larger law firms. The preference to hire independent contractors instead of employees has become more common in many industries, as the line that divides employees and independent contractors has continued to blur. 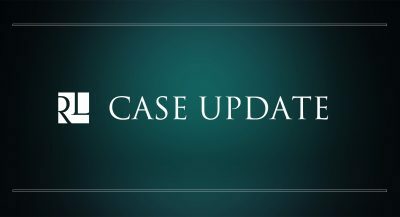 In a suit brought under the Fair Labor Standards Act (FLSA), the U.S. Fifth Circuit recently provided guidance on the distinction between “employee” and “independent contractor” by underscoring the importance of the workers’ economic independence. 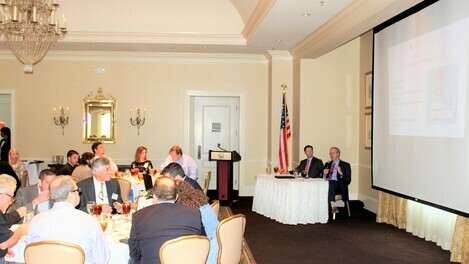 Mike Lane and Jon Forester presented to the Gulf Coast Chapter of CMAA on Friday, March 29. The presentation, titled: "How to Keep Your Foot Out of Your Mouth: The Do’s and Don’ts of Deposition Testimony", helped attendees learn the rules of depositions and best practices on conducting themselves and testifying. 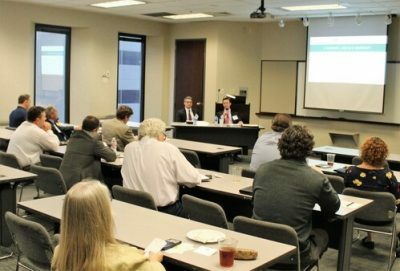 Chris LeMieux and Jon Forester spoke at the March Lunch Meeting of the CFMA of Greater New Orleans on March 27. The topic of their presentation was "Protecting Your Money - Contract Provision Primer".